Physics: Mathematical or Theoretical or Experimental? Fresh from doing two Open Day talks last week I thought I’d write a few words here about something that cropped up in the question-and-answer session. 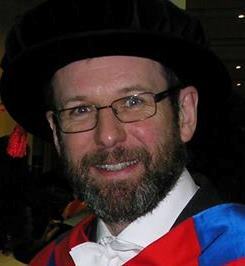 For a start, I should explain that here at Maynooth University there are two Physics departments, one the Department of Theoretical Physics (of which I am a Faculty member) and the other the Department of Experimental Physics. These two units are in the same building but are largely separate in terms of teaching and research. For instance, when students enter on our General Science degree programme they have to choose four subjects in the first year, including Mathematics (much as I did when I did my Natural Sciences degree at Cambridge back in the day). Picking `double physics’ (i.e. Experimental Physics and Theoretical Physics) uses up two of those choices, whereas Physics was a single choice in the first year of my degree. To confuse matters still further, the Department of Theoretical Physics only recently changed its name from the Department of Mathematical Physics and some of our documentation still carries that title. I got asked several times at the weekend what’s the difference between Theoretical Physics and Mathematical Physics? As far as Maynooth is concerned we basically use those terms interchangeably and, although it might appear a little confusing at first, having both terms scattered around our webpages means that Google searches for both `Mathematical Physics’ and `Theoretical Physics’ will find us. Mathematical physics refers to the development of mathematical methods for application to problems in physics. The Journal of Mathematical Physics defines the field as “the application of mathematics to problems in physics and the development of mathematical methods suitable for such applications and for the formulation of physical theories”. It is a branch of applied mathematics, but deals with physical problems. The difference is subtle,and there is obviously a huge amount in common between these two definitions, but it is perhaps that Theoretical Physics is more focused on the use of mathematics to account for the results of experiment and observations whereas Mathematical Physics concerns itself more with the development of the necessary mathematical techniques, but I’m sure there will be readers of this blog who disagree with this interpretation. I’d say that theoretical physicists are more likely than mathematical physicists to be working closely with experimentalists. I count myself as a theoretical physicist (that’s what I did in Part II at Cambridge, anyway) though I do work a lot with data. Anyway, as an experiment, I asked the audience at my Open Day talks if they could name a famous physicist. Most popular among the responses were the names you would have guessed: Einstein, Hawking, Feynman, Dirac, Newton, Schrodinger, and some less familiar names such as Leonard Susskind and Brian Greene. Every single one of these is (or was) a theorist of some kind. This is confirmed by the fact that many potential students mention similar names in the personal statements they write in support of their university applications. For better or worse, it seems that to many potential students Physics largely means Theoretical (or Mathematical) Physics. 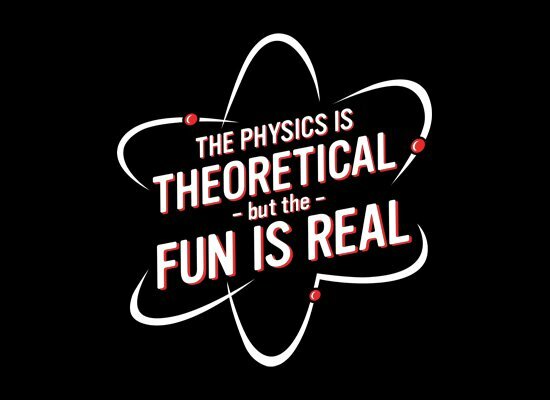 Although it is probably good for our recruitment that there are so many high-profile theoretical physicists, it probably says more about how little the general public knows about what physics actually is and how it really works. For me the important thing is the interplay between theory and experiment (or observation), as it is in that aspect where the whole exceeds the sum of the parts. It might seem a bit strange to have two Physics departments in one University – though it seems to work alright in Cambridge! – but I think it works pretty well. The one problem is that there isn’t a clear entry point for `Physics’ without an adjective. Students can carry Theoretical Physics and Experimental Physics through all the way to final year and get a joint honours degree (50% theory and 50% experiment) or they can pick one to do single honours, but we might attract a few more students if the former possibility were just called `Physics’. Perhaps. On the Second (Open) Day..
I’ve been back on campus all morning today (Saturday 24th November) at Maynooth University for the second Open Day. I’m just taking a short break to have a sandwich and a cup of tea before rejoining the fray and giving the Subject Talk at 2.10pm on behalf of the Department of Theoretical Physics. Yesterday’s Open Day was a very busy day. I’m given to understand that there was a record crowd of over 3000 visitors. We were certainly not short of people to talk to at our stand in Iontas. I think being a number of school trips contributed to the high attendance. Today has been more individual prospective students and parents. Also it’s been a bit rainy this morning so numbers might be down a bit compared to yesterday, but we’ve been busy again on the stall. Anyway the main reason for writing this post is to thank all our student helpers including Rebekah, Eibhlin, Philip, Cai, Tigernach and Ryan for contributing over the two days and staff members Paul and Jiri for doing their stint. Their only material reward for helping has been a lunch voucher for one of the campus refectories. UPDATE: The talk was very well attended and ended with lots and lots of questions, so I think I’ll call it a success. Now home to put my feet up and have a nice cup of tea! 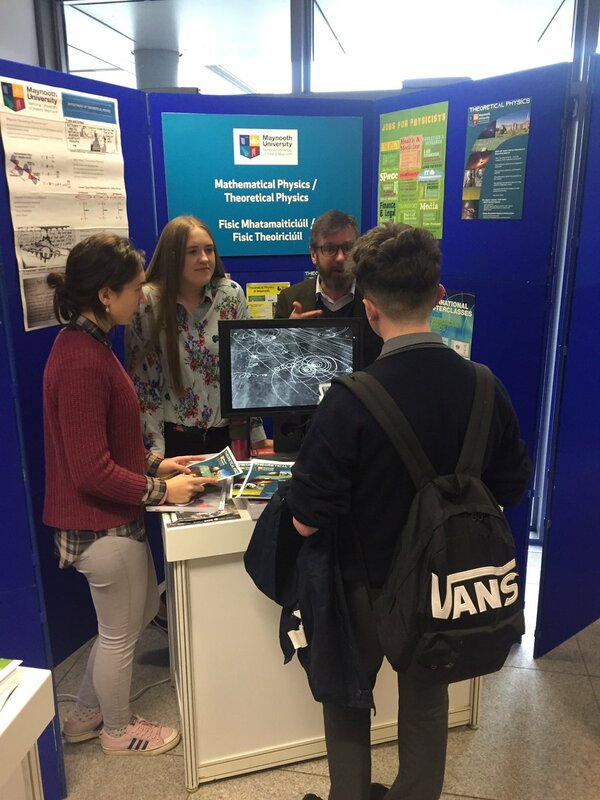 Theoretical Physics at Maynooth University Open Days! I used to give Open Day talks quite frequently in a previous existence as Head of School of Mathematical and Physical Sciences at the University of Sussex and now I’m at it again, giving talks on behalf of the Department of Theoretical Physics on each Open Day. If you come along, please say hello either at the lectures (1.10pm on Friday and 2.10 on Saturday)! We also have a stall in the Iontas Building from 9.30 each day where you can meet staff and students and talk to them about the course, or anything else vaguely related to Theoretical Physics. There are other stalls, of course, but the Theoretical Physics one is obviously em>way more interesting than the others!